Wedge Profile Lock for tablets and Ultrabooks, supporting the Noble security slot like DELL XPS and Inspiron range (Dell laptop lock. Dell computer lock). Maximize security with ease with the introduction of Noble’s Wedge Locking System, mobile security has become much more robust, easier and faster than ever to install. Maximize security with ease with the introduction of Noble’s Wedge Locking System: mobile security has become much more robust, easier and faster than ever to install. 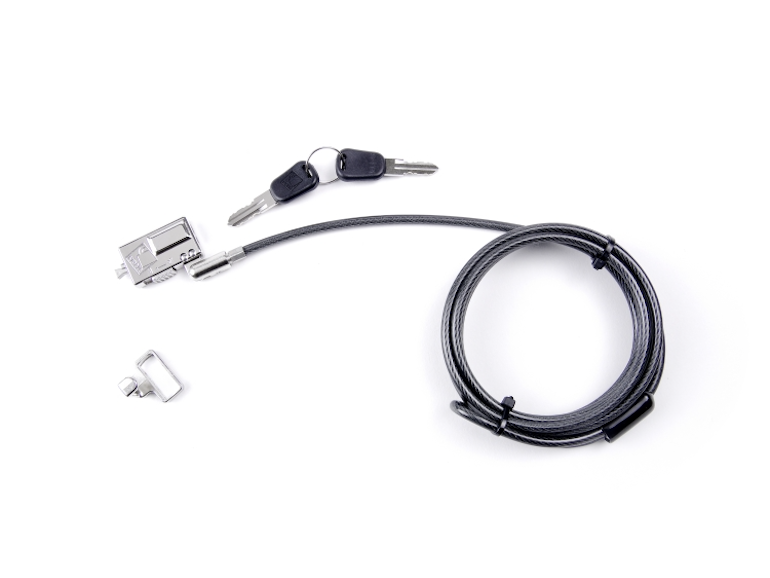 If you are looking for a Dell computer lock (with a Noble slot) this product is compatible. With a simple push of a button, the wedge lock secures laptops, tablets and any other device with the ultra secure patent-pending Noble Security Slot. 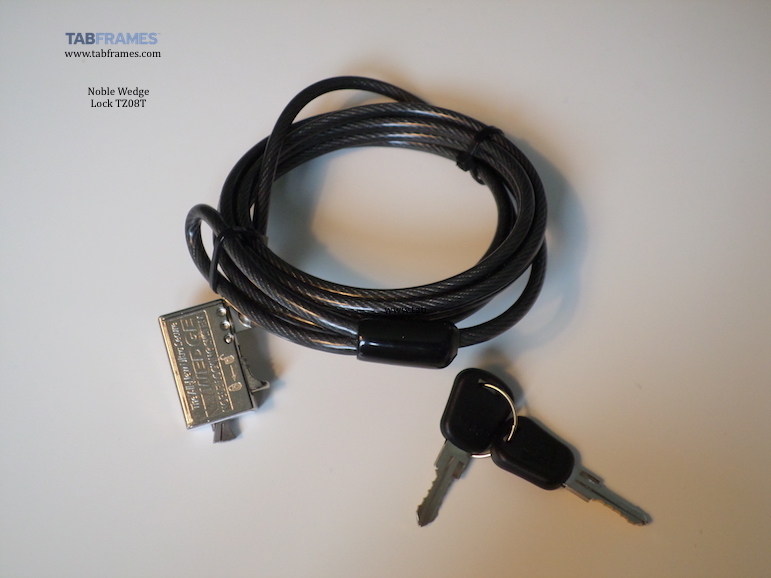 ** kit includes Wedge Profile Lock, 6’ reinforced steel cable, patented peripheral trap, and keys. 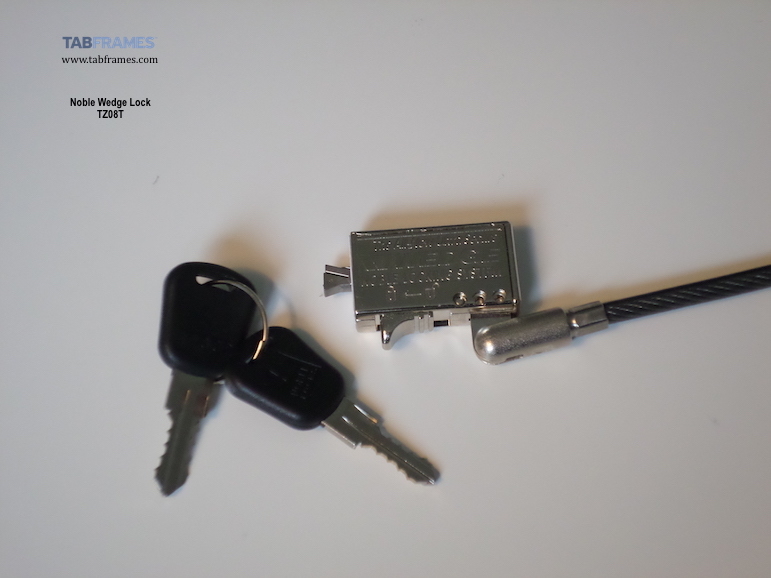 Wedge Profile lock does have master key support. Fits Dell Venue Tablets, XPS 11,12,13,15 & 18. Precision M3800, Inspiron 3000 series 11 & 13, 7000 series 13 & 14, All Alienware Notebooks. 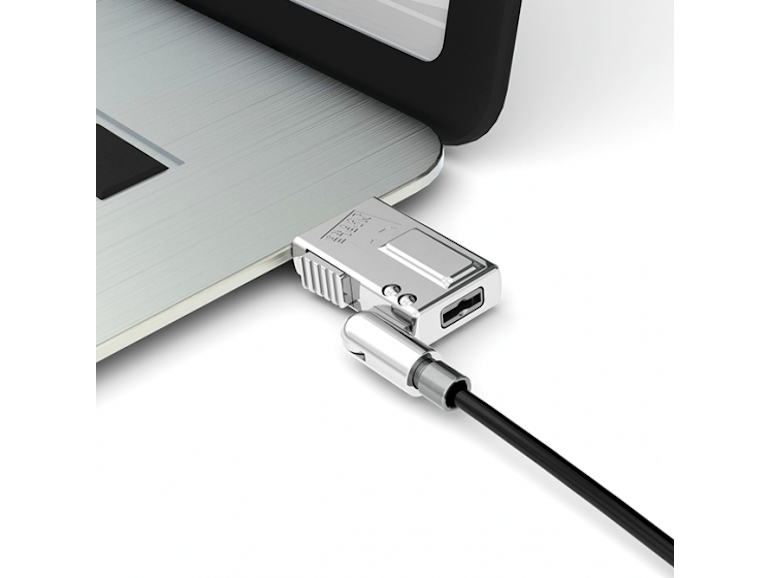 Tabframes: if you need a Noble Slot compatible cable as is often found in the DELL XPS range, this cable lock this is your entry solution. We note the slim body which makes it compatible with ultrabooks and tablets with the Noble Slot. The locking mechanism is a novel slide in and a switch rather than a classic barrel lock. If you are looking at the TZ08T you may want to consider some of the other models like the TZ05T and TZ04T . Noble TZ04T-KA Wedge Low Profile Computer Cable Lock Barrel Key - Keyed Alike (Dell) Noble TZ Wedge lock with barrel lock and peripheral trap. Compatible with systems using Noble Lock Slot (see below for DELL compatibility list). Minimum 25 units per order.